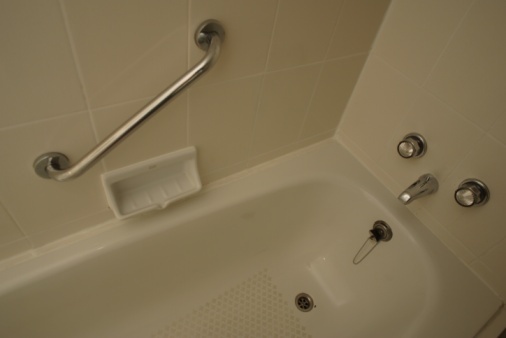 Mold is a common problem in bathtubs and showers. The damp and humid environment of these areas creates the perfect breeding ground for mold and its spores. Vinegar, hydrogen peroxide and borax are three items that can successfully kill mold without harsh chemicals. These items do not fill your home with toxic chemicals. Furthermore, since they do not contain harsh chemicals, vinegar, hydrogen peroxide and borax are safe to use and will not damage your shower. 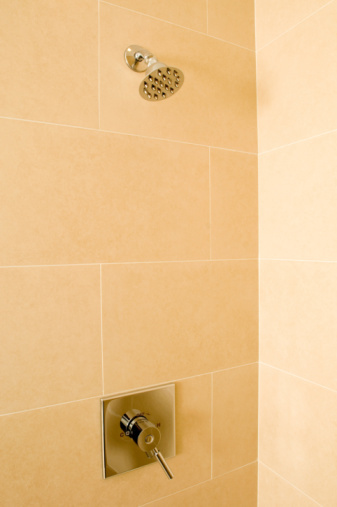 Showers can quickly be overrun with mold and mildew. Fill a spray bottle with white vinegar. Spray the shower liberally with the vinegar. Allow the vinegar to sit for 10 minutes. 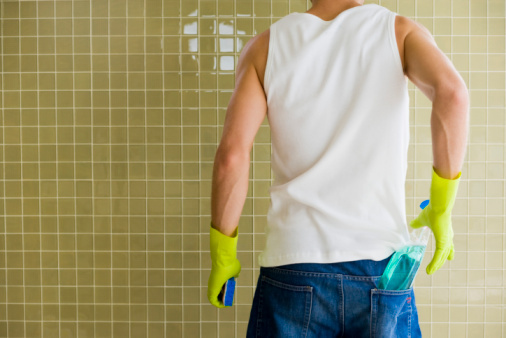 Scrub the shower with a sponge or scrub brush. Spray the shower with more vinegar if needed. Continue scrubbing until all mold is removed. Rinse the shower clean with cool water and wipe dry with a towel. Fill a clean spray bottle with 3 percent hydrogen peroxide. Spray the mold liberally with the hydrogen peroxide. Allow the peroxide to sit on the mold for 5 minutes. Wipe the mold off the shower with a damp cloth. Repeat the process until you have removed all traces of the mold. Rinse the shower clean and dry with a towel. Fill a bucket with 1 gallon of water. Add ½ cup of borax into the water and stir with a wooden spoon. Saturate a sponge in the mixture. Scrub the mold and surrounding areas with the sponge. Continue saturating the sponge and scrubbing the mold until the shower is thoroughly cleaned. Rinse the mixture off the shower with cool water. Wipe the shower dry with a towel.